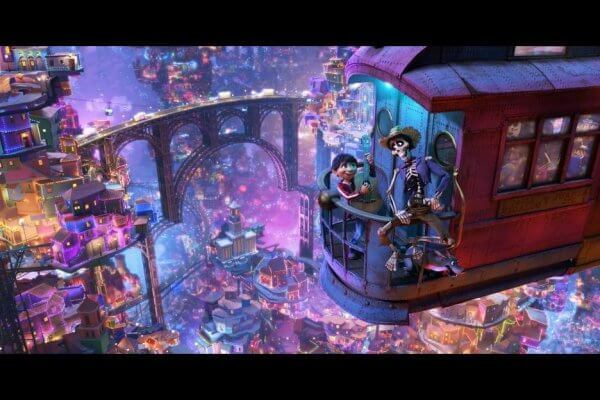 When we saw Coco announced at the 2015 D23 Expo, I wasn’t sure what to think. 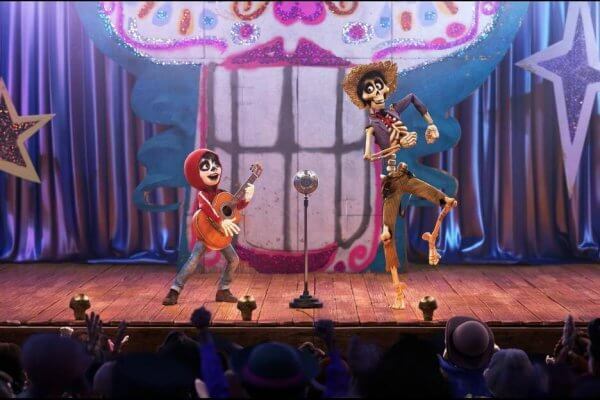 I had actually spent a few years in high school learning extensively about Die de los Muertos, and wondered how even Pixar would be able to make a movie that is widely appealing that centers around a custom so unfamiliar to much of the world. After seeing long segments of the film, as well as a live performance of “Remember Me” – one of the catchiest songs from the Coco soundtrack – by Benjamin Bratt and Anthony Gonzalez at the 2017 Expo, I realized I should have had faith in the same company that made cars come to life and toys nearly rip our hearts out. Even still, I had friends with the exact reservations I would have expected: “I’m not really into skeletons”… “it looks a little weird”… “I don’t really get it”. We got a sneak peak of Coco the week before it came out, and it definitely didn’t disappoint. I have to admit, I’m somewhat surprised at just how glowing a review it is getting from nearly everyone. 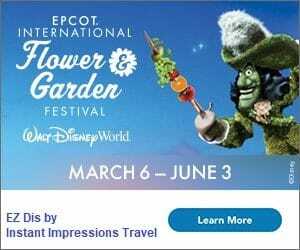 My kids and husband loved it; I thought it was pretty good – but not necessarily one of Pixar’s best. In fact, I’m shocked nearly every day coming across something that equates it to the brilliance of Inside Out, or even goes so far as saying that it’s the best film all year, one of Pixar’s best ever, etc. I don’t quite get that, but it’s certainly a good movie. My biggest concern is actually about rewatchability, in a film that relies somewhat heavily on a plot twist and surprises. That said, it’s a visually stunning film with a story that is certainly capable of holding your (and your children’s’) attention. In studying hispanic culture, in conversations with relatives living in the Middle East, and on a recent visit to China, I have been reminded time and again of one thing: lots of other cultures really, really prioritize their families more than we tend to in the US. 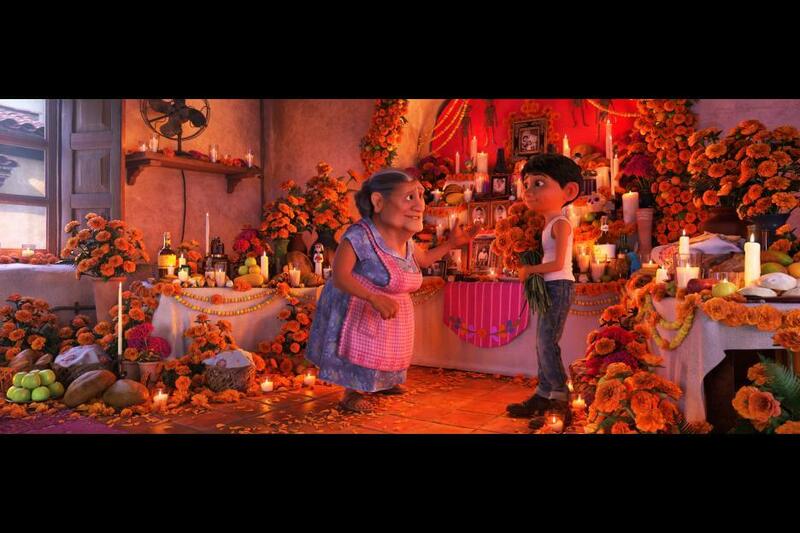 In Coco, one of the things I found the sweetest was the relationship between all of the family members. 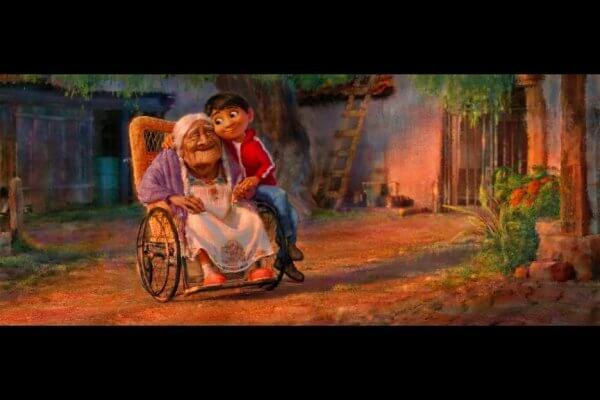 Miguel and his great-grandmother, Mama Coco, have the most precious relationship. It’s clear from start to finish that every generation in Miguel’s family has the best intention for the one that follows. 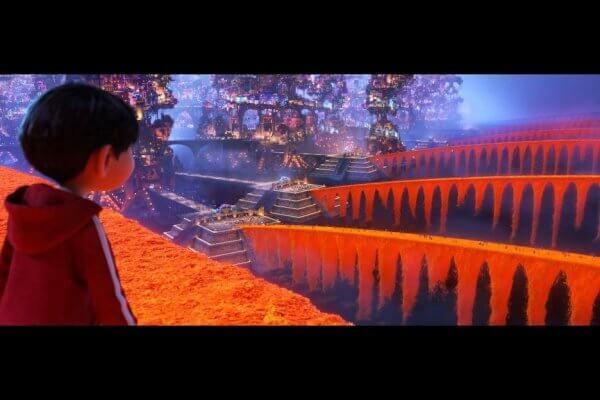 I feel like movies are trying to do a better job with cultural diversity as a whole, but Coco felt like it did so in an even more beautiful and unique way. 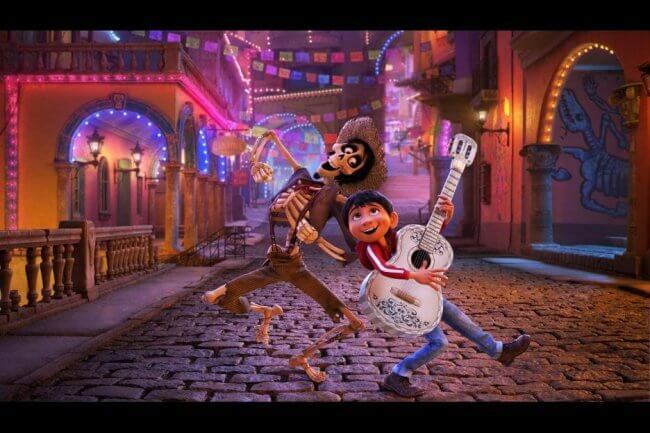 Other than a quick introduction to the holiday of Dia de los Muertos via some cartoon flags as the movie opens, the script sort of assumes that the hispanic culture around which hit is centered is the culture – and one with which audiences would simply already be familiar. Contrary to how that may sound, there is always enough story and explanation that the viewer is never confused. It doesn’t feel like a culture was used as a gimmick or a vehicle. Instead, it’s an impressive use of nuance in writing that feels like you’re “in the know” from the beginning; it really helps establish a connection to the characters. Not too far into the movie – in which Miguel is forced to enjoy music in secret thanks to his family’s heartbreak-rooted disdain for his hobby – you hear a line which I thought would set up the premise of the movie: “You’re a Rivera, through and through.” Miguel was being reminded that he does what he does (make shoes) because it’s what Riveras do, and have essentially always done. The movie strikes a powerful balance between being true to one’s heritage and family, while also being true to oneself. It’s a great message wrapped in a colorful, fun, quirky-but-charming film. I admit, this may not be a movie I watch over and over again. I didn’t run out and download the soundtrack, but it does have some really solid numbers. 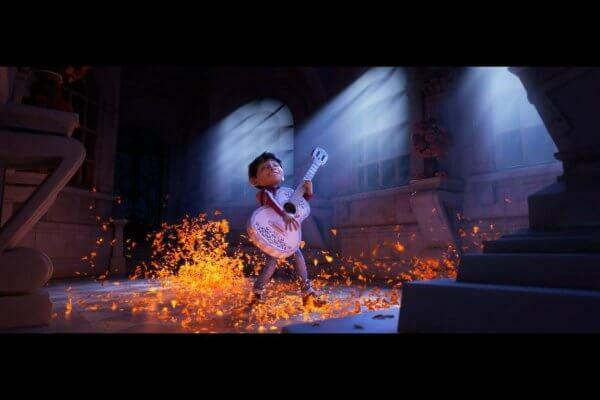 Did you see Coco yet? What did you think of it? Previous Post: « DECORATE YOUR FRONT PORCH FOR CHRISTMAS FOR LESS THAN $150!